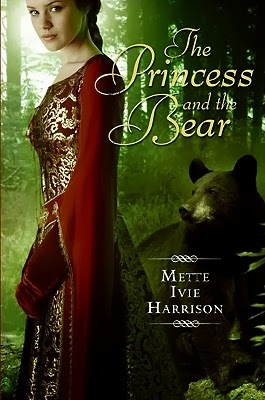 A few weeks ago I reviewed the amazing fantasy fiction novel The Princess and the Hound by Mette Ivie Harrison. I immediately ordered all four sequels, and as soon as they arrived in the mail, I eagerly read the first sequel. I was not disappointed! The Princess and the Bear was just as good as the original. The Princess and the Bear explores the relationship between King Richon and Chala, the bear and the hound who readers first meet in The Princess and the Hound. From her website: A princess who was once a hound. A bear who was once a king. When they become human again, can they still find love? And can they save the world of magic which they once disdained? I wasn't sure at first if this novel could possibly live up to the first. I just loved the characters of George and Marit so much, but they're only minor characters in this book. Luckily I loved this new relationship just as much! This book explores the rules of magic further and introduces a new threat to magic, the unmagic. Richon and Chala travel in the past to Richon's original time to try and save the magic. Watching Richon and Chala learn to communicate and fall in love is just so sweet. If you love fairy tales, fantasy fiction, and romance as much as I do, then you should read The Princess and the Bear! *There is one Amazon affiliate link, which pays me pennies on the dollar if you choose to buy the book!